How Many Gallons of Water Does an RV Usually Hold? Growing up, we always had a camper, but it was on a designated lot with a water tank. Then my family and I finally decided to move it somewhere new and we hit some troubles. One was that we didn’t know how many gallons our RV held on its own. 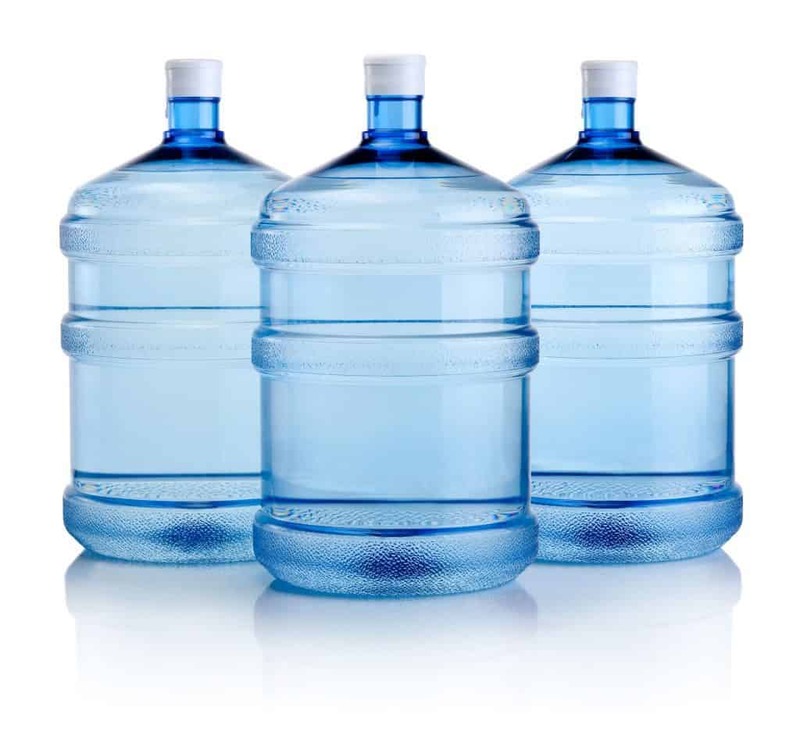 How many gallons of water does an RV usually hold? An average freshwater tank holds 20-100 gallons of freshwater. A class A RV will hold the most water, averaging between 75-100 gallons. Class C RVs will hold 35-60 gallons, Class Bs will hold around 20-40, and fifth wheel trailers hold about 60-80 gallons. Smaller trailers hold 40-60 gallons. 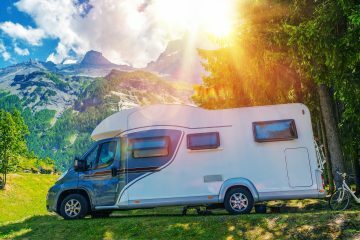 When you buy an RV, you will see that there are two other numbers beside the freshwater capacity, and the RV class will be a large factor in finding out how much water you will be able to travel with in your RV. What Are the Other Two Tank Numbers? The other two tanks are your grey and black tanks. 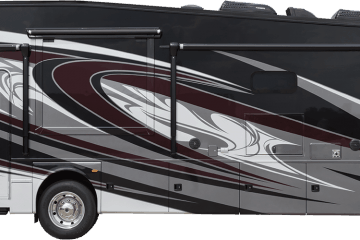 When buying an RV, it will say something like water tank size is 65-25-30. This means that your freshwater tank is going to hold 65 gallons, your grey water tank can fill up to 25 gallons, and your black tank should stay under thirty gallons. Waste gallon sizes depend not only on your freshwater tank size but also on the class of RV. 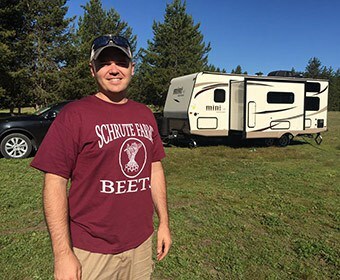 Some RVs are geared to suit a single person, while others that are family-sized have larger tanks for everyone’s use. 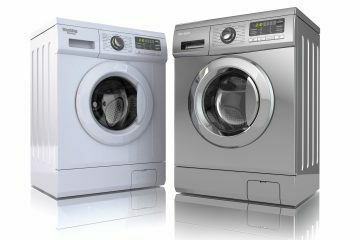 Your grey water tank holds the water that has been used by the cleaning appliances in your RV, so this would come from your sinks, shower and (if you have it) washing machine. These systems are fed by the freshwater supply and as you use it, it goes to the grey tank. Be aware that the grey tank can fill up much faster than your freshwater tank can be depleted! This is everyone’s favorite part of RVing… The black tank is also known as your RV’s septic tank! The only thing that fills this tank is what comes out of your toilet. Be aware of how full this tank is, and take care of it. Also, be aware that black tanks can be testy. Bring special RV toilet paper to ensure that the least amount of product gets stuck in your RV system. Also, when first using your toilet in your RV for each trip, fill it with water externally and flush it once. That should get the freshwater system ready to continue to fill it as needed. How Do I Dispose of the Water in The Black and Gray Tanks? Hook the waste hose to your black tank or grey tank. Please make sure to dump your black tank first, and then when it is done emptying you can run your grey water. We do this because your grey tank is full of much cleaner water than your black, and can empty undesirables from your hose. However, you won’t always be at an RV park. Sometimes you will be traveling off the beaten path. This might necessitate using a portable RV waste tank. This is an external tank that you can dump your waste into before taking the waste to an appropriate sewage dump site. Make sure after you dump this portable tank that you clean it completely by running clean water into it. After certain periods of time, your tank will be full of excess toilet paper and other substances that struggle to empty out with the regular dumping. This will necessitate the occasional black tank flushing. This is very important when you are trying to winterize your RV! 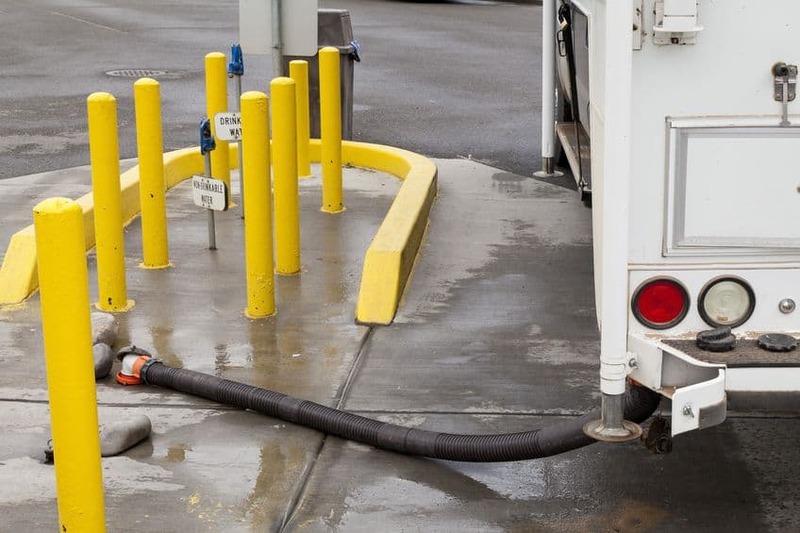 Most RVs come with tank flushing valves, and this can be done at a normal dumping station. Here you will hook up like normal, but now you will run normal water through your toilet while igniting the black tank flushing valve. How Long Can I Go Between Filling Up and Dumping My Tanks? 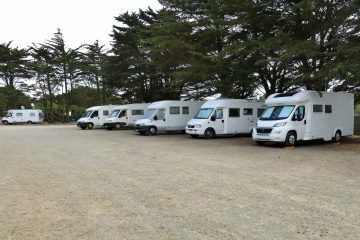 This depends on how many passengers you have in your RV for this adventure. If it is just you and one or two more people you should be fine for a week. But just be aware of your tank gauge, it will show you how full your tanks are like a fuel tank would show you. 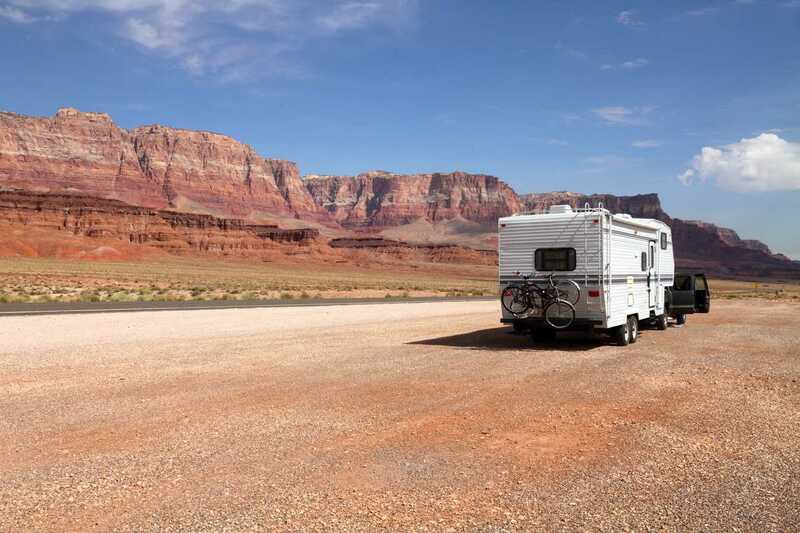 How Do I Conserve Water in an RV? If you have an RV full of people, but limited resources to empty and fill tanks, it is important to learn how to conserve water! Turn off the water and run shampoo fully through your hair. Turn off the water and if you use it, put in conditioner. Take wet loofa or washcloth and wash your body. Rinse your hair and body quickly. Turn off the water and you are done. This will save so much water. The time shampooing and washing your body is just wasting water. Military style saves water and also time. No one wants to wait long periods of time wet, cold and naked. Use paper and plastic plates that you can just dispose of to save water by not having to wash dishes on the road. Use hand sanitizer versus having to wash your hands multiple times throughout the day. Bring plastic water bottles for drinking and other things like brushing your teeth. When the RVing season is over, if you do not take proper care of your tanks you can see algae and mold filling your tanks. So when winterizing your tank make sure you use your filtration system to keep everything empty during the periods where you do not use it. Empty out your water heater first. Locate the low point of your water system to ensure that all the water empties. Use your water pump to make sure that your freshwater tank is completely empty. Then refill it using a white non-toxic hose with bleach and water. About 1 cup of bleach for 15 gallons of water. Fill it with normal water. And empty it to make sure there is not bleach in the water you are later going to use to clean yourself. 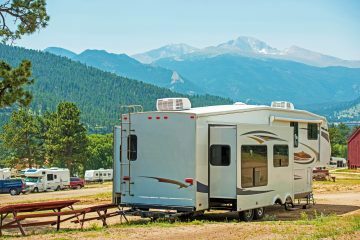 What are the Different RV Classes? What supplies do I need for my black tank? Before you use your black tank, it needs to have some liquid in it first to keep it running smoothly and to help with the smell. So dump some clean (cleanish) water into it first and then follow that up with a holding chemical. This helps breakdown the waste in your black tank. There should be directions on the container pertaining to how much you use for your tank size. How do I tell the black tank is full? There should be a gauge on your RV that identifies how full your tank is. (Similar to a fuel tank) But in the case that the gauge is not working there are a few identifiers. If the tank is almost full the toilet will almost “burp” or discharge gas from the sewer, this is just releasing the last of the air in the tank to make as much room as possible for waste.